"It's the goal markets that look our best option on Sunday. Neither defence is especially commanding, and they have zero clean sheets between them in the Premier League so far"
Everton, four games into the season, are a bit of a conundrum. On the one hand, they're unbeaten, and have looked fairly potent in attack. On the other, they've taken three points from games against Wolves, Bournemouth and Huddersfield, throwing away leads in two of those games. 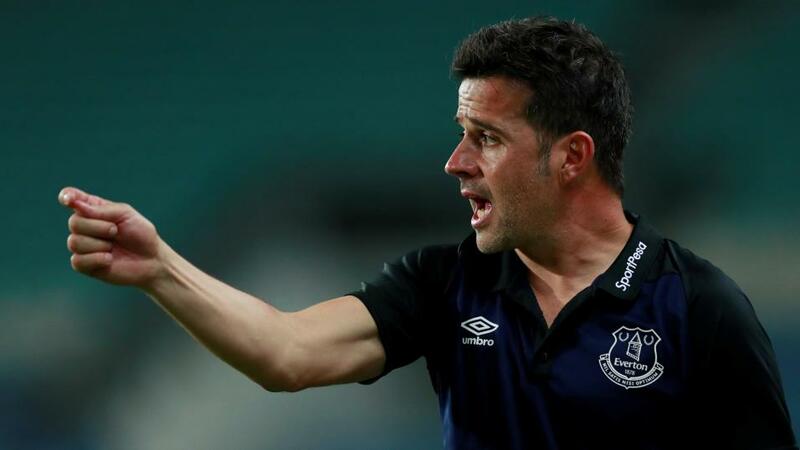 You have to hand it to Marco Silva - he's always interesting. It will take time for his new-look side to take shape, of course. Richarlison made a brilliant start but is still banned this weekend; deadline-day arrivals Bernard, André Gomes and Yerry Mina have played five minutes between them in the league. At the moment, it's half a fresh team and half hangover from last season. An injury to Seamus Coleman will disrupt things further over the next couple of weeks. But Dominic Calvert-Lewin, Idrissa Gueye and Theo Walcott could all feature after knocks, which is good news as the Toffees look to find a rhythm. No wins, no points, no real reason to be cheerful: it's safe to assume that West Ham were hoping for a better start to the season after splashing the case on a whole battalion of new players this summer. But it's exactly that influx that seems to have destabilised them, with Manuel Pellegrini grasping for a winning formula. He'll have to shuffle his pack again here. Jack Wilshere, who has started all four games so far, is absent with an ankle issue, which could mean a recall for Mark Noble or, more likely, Pedro Obiang. Andriy Yarmolenko - a former Everton target - will also be hoping for a first league start, but it might take more than that to get this side firing. West Ham have claimed one win from their last 11 trips to Goodison Park, and have shown little that suggests they will pick up three points here at odds of [3.95]. The Irons are short on confidence and it's hard to imagine their defence keeping a first clean sheet of the season here. At the same time, we're not sure enough about Everton to be backing them at [2.06], especially after they were held at home by Huddersfield last time out. Silva's men are a bit Jekyll and Hyde at present, so we'll be giving the Match Odds market a swerve. It's the goal markets that look our best option on Sunday. Three of Everton's four games have gone over the 2.5-goal mark so far, and the same is true of West Ham. Neither defence is especially commanding - zero clean sheets between them in the Premier League so far - and so we're happy to go with the overs at [1.85]. With the new Same Game Multi tab on the Sportsbook, you can combine multiple picks on one game into a single bet. On Sunday, for instance, you could go for over 2.5 goals, under 9.5 corners (both of these sides average relatively few) and an overdue Cenk Tosun goal for odds of [6.44].